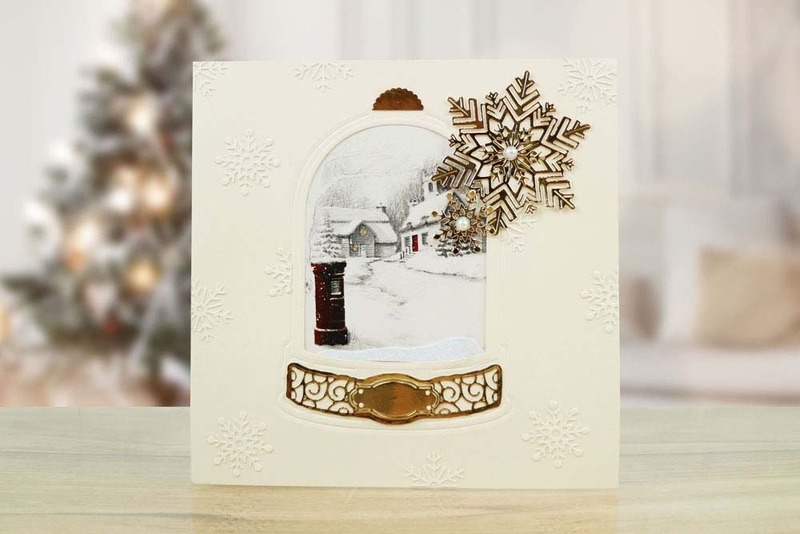 A grand pie from the Tattered Lace Fantasy Christmas Collection. 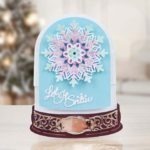 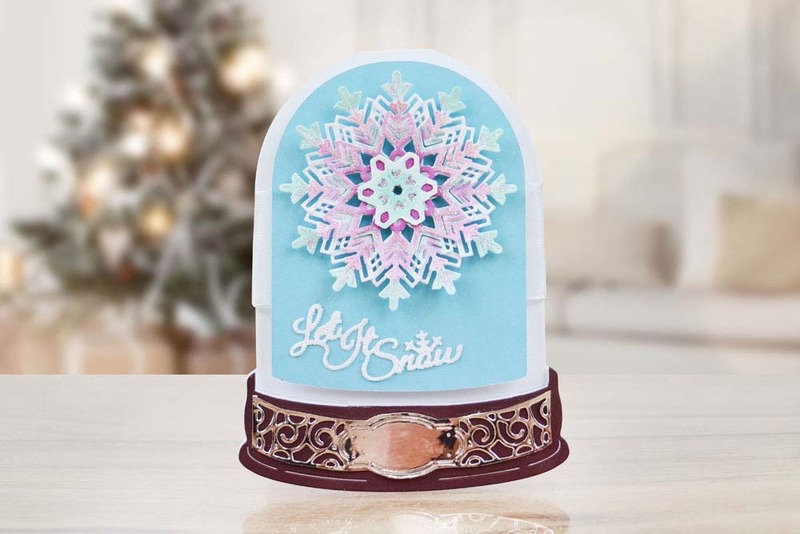 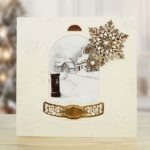 This set comes with 4 dies including a snow glob card shape and 3 differently sized and styled snowflake die embellishments that can be mixed and matched to add that extra finish. 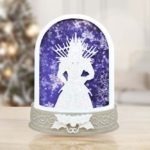 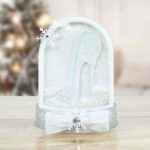 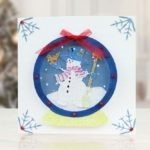 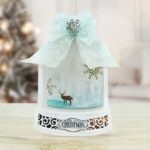 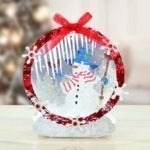 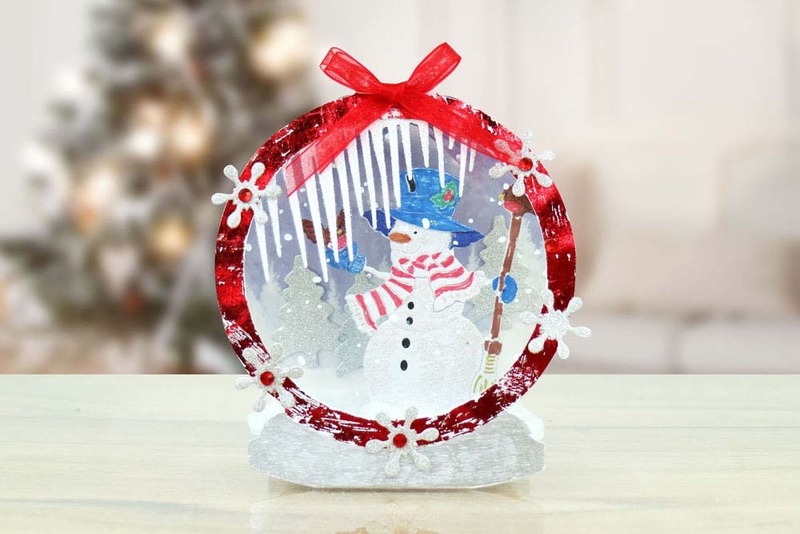 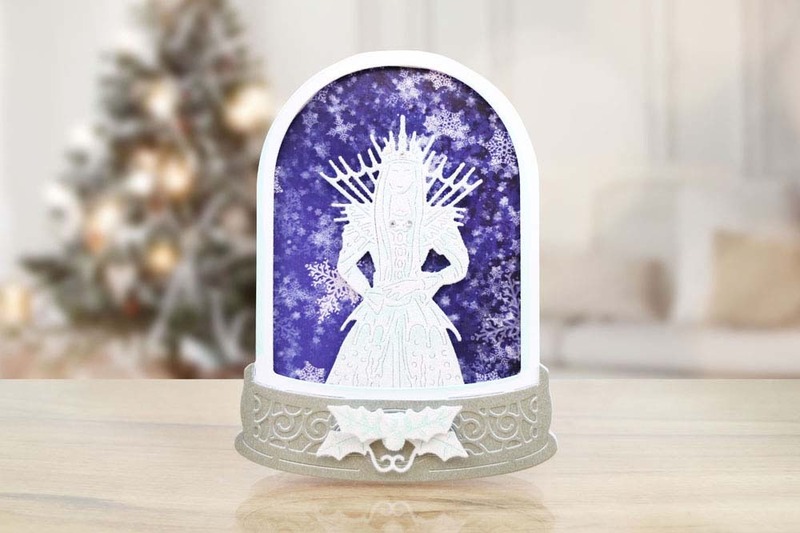 Add acetate to create to create a glass window, add detail inside like glitter, confetti or embossing powders to create that realistic snow globe effect. 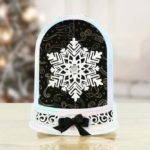 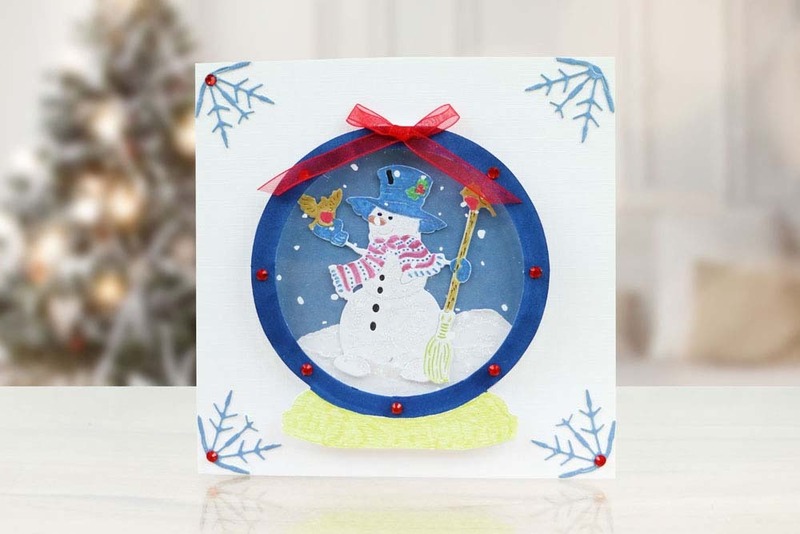 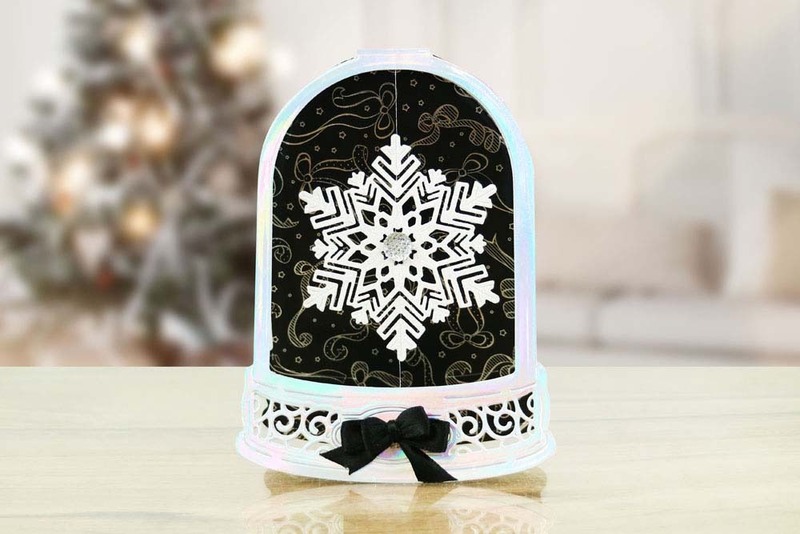 The snowflake embellishments can be used on many other crafts for added detail, great for adding to cards, invitations and gift tags for when that little extra finishing touch is required. 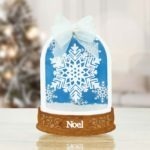 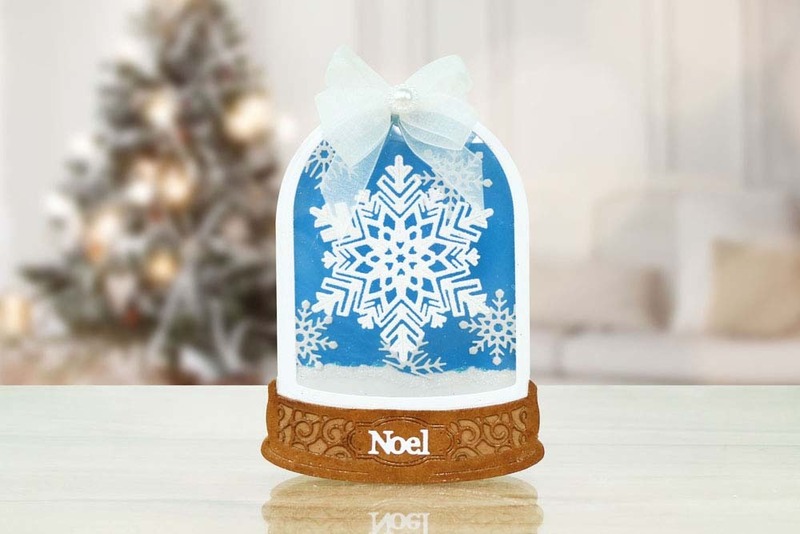 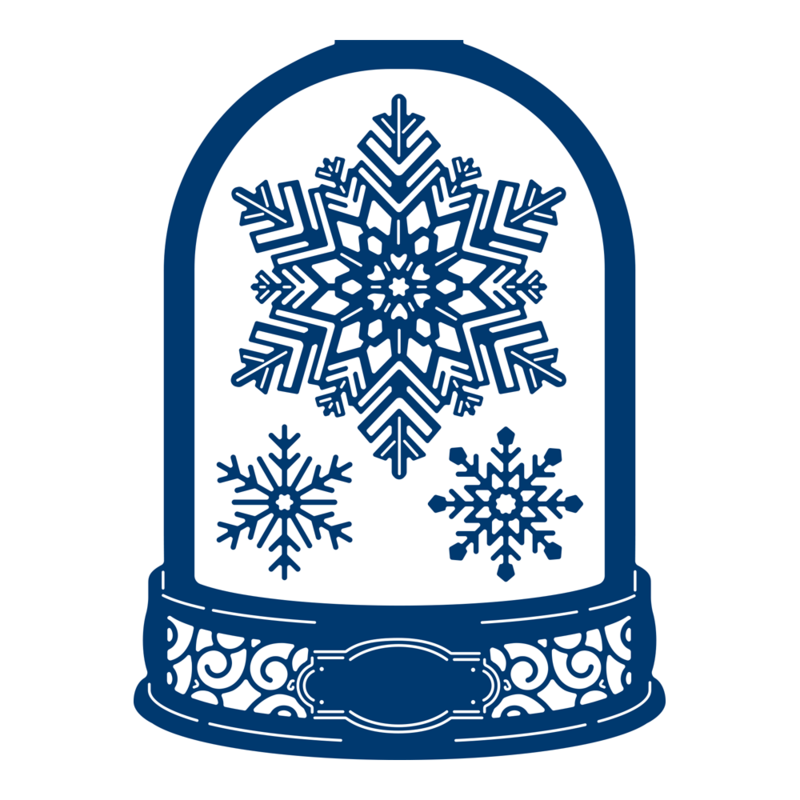 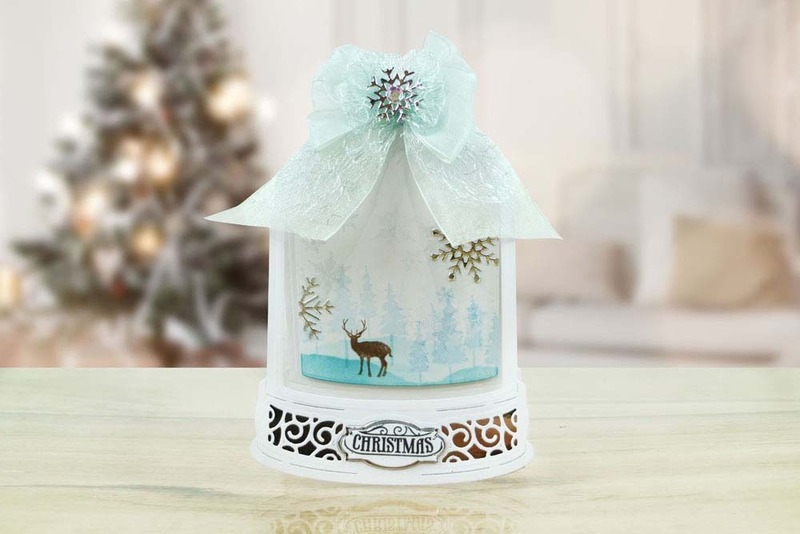 The snowglobe has a mini label across the front which could be the base for a mini sentiment like ‘Love’, a name, ‘Thank You’, ‘Friend’, ‘For You’ and many more.